Do you have military orders to move this summer? If so, you’re probably thinking of everything that needs to be done before the packing crew arrives! As you prepare your military family for the whirlwind of a PCS, keep in mind how the upcoming transition might impact your four-legged friends. Consider the following tips as you plan for your pets to take part in your summer moving adventure. When planning for your military move, it’s a good idea to have a carrier or crate available for the safety of your cat or dog. If you have a kitty and need to introduce them to a carrier, each day place a few of their favorite objects inside the open case. These goodies could be toys, treats, or whatever your cat seems drawn to. 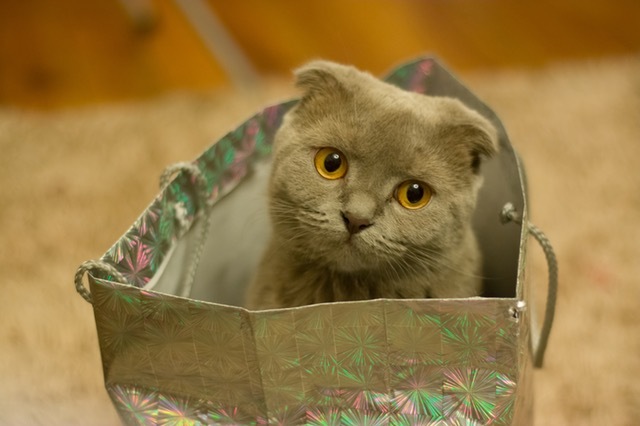 To entice the curiosity of her favorite feline, our friend placed a small paper bag in her carryall. Catching the attention of her four-legged friend, Mr. Whiskers, the calico promptly snuck into the sack. Creating a hiding spot tucked within the duffel made Mr. Whiskers time in the tote more “fun”! Much like the tactics to make a cat carrier appealing, you’ll want to create a comfort zone with your dog’s crate. We’ve tried leading our pup, Sasha, into her open bin and spoiling her with high value treats like meat or cheese. Lingering on a comfy blanket, our curious canine was happy to chill within her crate while devouring a peanut butter filled toy. It’s helpful if a pet can associate their carrier with good things, such as treats, toys, and comfy conditions. 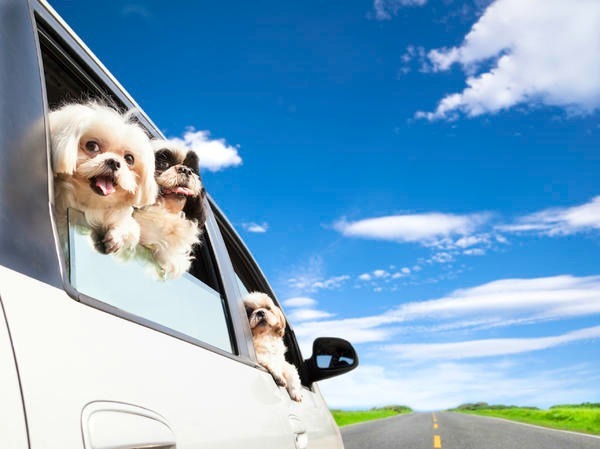 Hopefully, this will lead to less stress for your furry friends when it’s time for transport. If you’ve started compiling a PCS binder, you’re building a personal sense of organization for the move with the paperwork you collect. With that in mind, it’s a good idea to stop by your veterinarian and gather a copy of your pet’s records. Of course, your current vet office can fax or email your pet’s paperwork to your new animal care provider when you’ve settled. But, before you embark on your travels, it’s helpful to have pet records easy to access. With the many variables of a military move, you just never know when you’ll need proof of vaccinations and the health history of your pet. While at the vet, consider updating any vaccinations and renewing any prescriptions your pet may have. 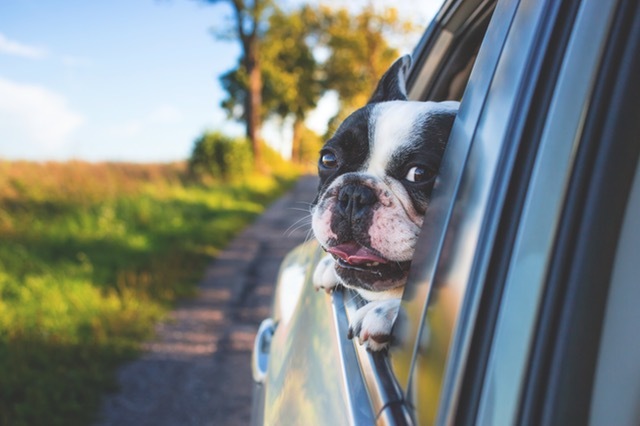 If your companion animal is not fond of car rides, ask about herbal calming aids or light sedatives to ease their travel time. Along with wearing a collar and I.D. tag, we encourage pet owners to have an implanted microchip for their furry friends. Even the most careful pet owner can have a kitty escape while the moving truck is being loaded or end up with a pooch darting off at a roadside rest stop. Having an internal identification tag can help reduce the heartache and stress if your beloved pet would end up lost. If your pets are indeed tagged, it helps to have up-to-date contact information on file with the microchip database company. 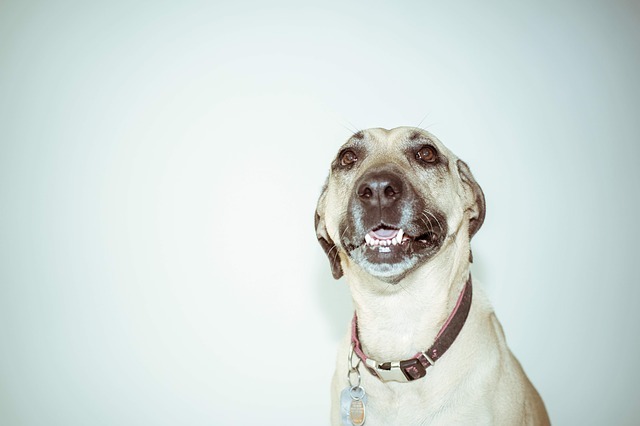 From collecting pet records to an appointment with your veterinarian, take the time to think about how your pet will fit into your PCS plan! Although not always a relaxing vacation, moving from one military assignment to the next can be like taking an epic road trip! As you map out the miles you’ll travel each day, think about where you can stop for pet potty breaks. Depending on how much your pet eats and drinks, try to get out of the vehicle for at least 15 to 20 minutes, every 3 to 4 hours. No matter if feline or canine, a pet needs to stay hydrated while on the journey. Our vet suggested adding bone broth to our dog’s water to entice our nervous traveler to lap it up. Serving wet food rather than dry kibble is another tactic to keep a pet eating while in transit. For aromatic reasons, it’s good to reduce their portion size in case the food consumed during the trip causes indigestion! When you feel weary of the passing miles, keep in mind your pet may also feel tired from traveling. Do what you can to make your pets as comfortable as possible along the route. When planning the path to your new assignment, begin your search for pet-friendly lodging online. These days, hotels are more willing to accept travelers with pets. Several national chains even offer rooms without an added pet fee. 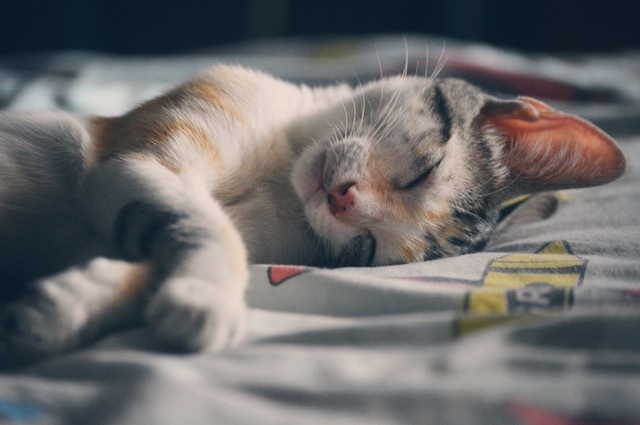 A good night of sleep can make a world of difference for every being in your family! 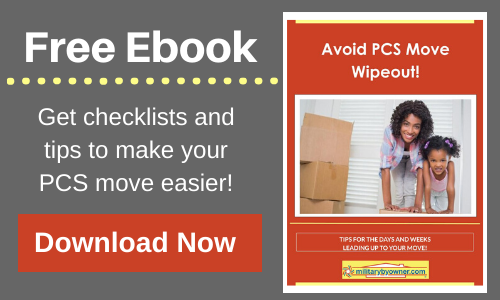 Preparing your family for a PCS often feels like a full time job! By planning ahead with the ideas mentioned here, you’ll feel more assured as the pace of the move picks up. With the guidance of complimentary ebooks from MilitaryByOwner and a handy checklist like this, you’ll face your upcoming transition with a happy meow or wagging tail!